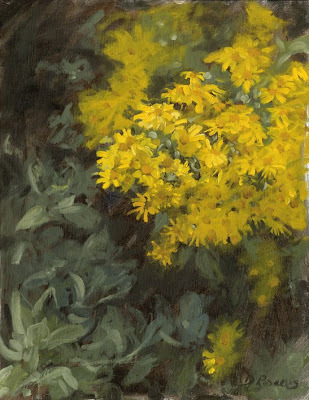 It was a sunny summer's day and as I looked out the kitchen window I noticed the beautiful way the sunlight caught the golden yellow flowers on the Senecio shrub in my back garden. So I quickly grabbed my oil paints and easel, ran outside, and set about doing this study. 14 x 18", oil on canvas board. 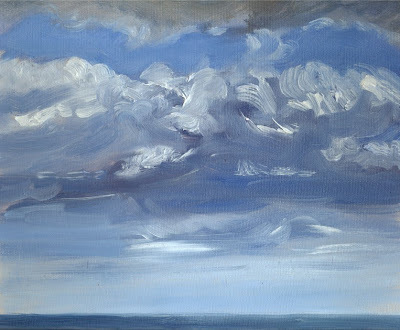 A quick sketch of the sky from my studio window.